San Diego is really a desert, and this time of year is our only chance for substantial rainfall. We are way ahead of schedule in January with over nine inches of rain measured in our rain gauge. Since we average about twelve inches annually, this is a great boon to our gardens. Winter in the garden is my favorite time to begin watching for spring bulbs to peek out of the ground. Last year, we bought two large cisterns to collect rain water. Amazingly, for as large as they are, one inch of rain fills each water tank to the max! I hope more folks will follow our lead and collect their rain water. Drought has plagued us for several years and we aren’t out of trouble yet. Yesterday we cut back all the roses, no small job, and made room for one new rose bush. I’m thinking of trying “Candyland” when the bare roots arrive at the Mission Hills Nursery down the street. 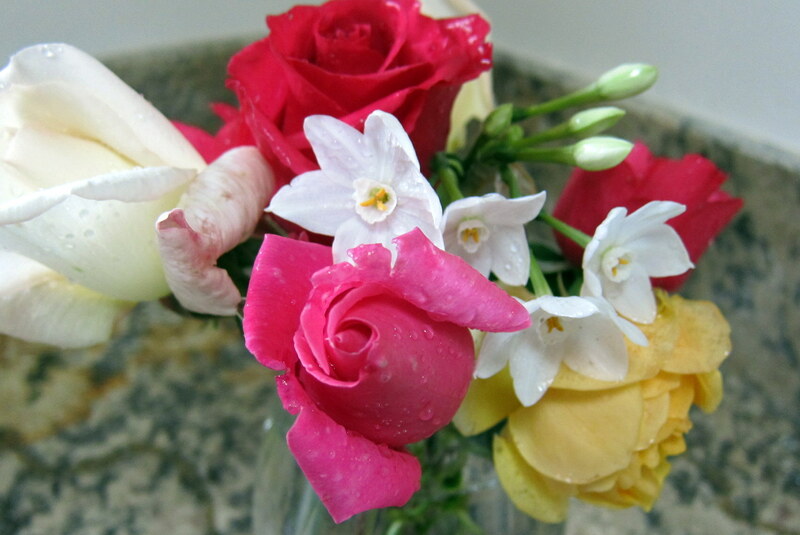 I picked a last bouquet before we trimmed them and dug fresh wells to collect the rain that arrived late yesterday. 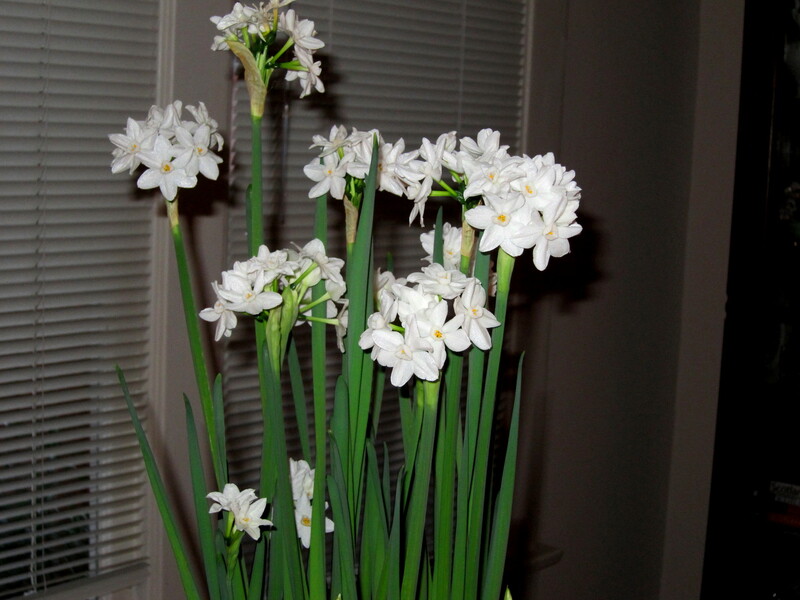 My last task during the holidays was to plant the “paperwhite” bulbs I had forced for Thanksgiving. I learned to do this years ago, following the custom of my mother and grandmother. My garden is full of these sweet-smelling amaryllis. I’m hoping to do a garden post every month or so in 2011. Next month I will be featuring our wonderful Mission Hills Nursery. 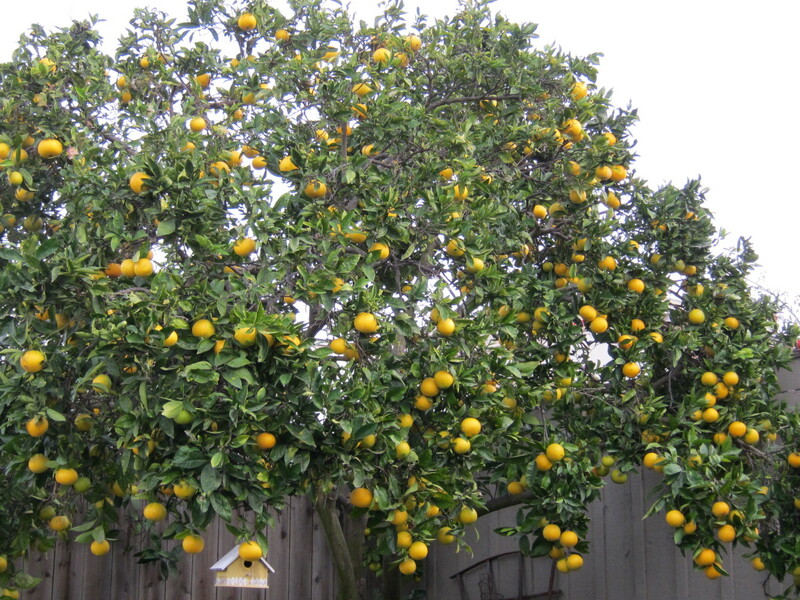 February means spring here and the flowers and ornamental fruit trees will be beautiful. I can’t wait to see what I can find at the nursery! I’m finally getting used to our California garden and a wet vs. white winter. I look forward to your marmalade recipe! I envy you. I am NOT gifted in the garden, but ahhh…. maybe someday. You are so busy and I totally understand. Working in my garden is like therapy for me – and I feel lucky to have that time.